Update methods: updated on offical website one year freely! The software of Launch X431 GX3 and Launch X431 master is totally same, the function is also totally same. The version of Launch X431 GX3 and Launch X431 master is same, many versions according to countries(such as Western Europe version, Eest ern Europe version, South Amercian version, North American version, Middle East) version, Africa version, East Asian version and so on), different version support different cars, meanwhile, X-431 has more than twenty languages can be choosed! PLZ confirmed with our sales about version and language beofre you take order. 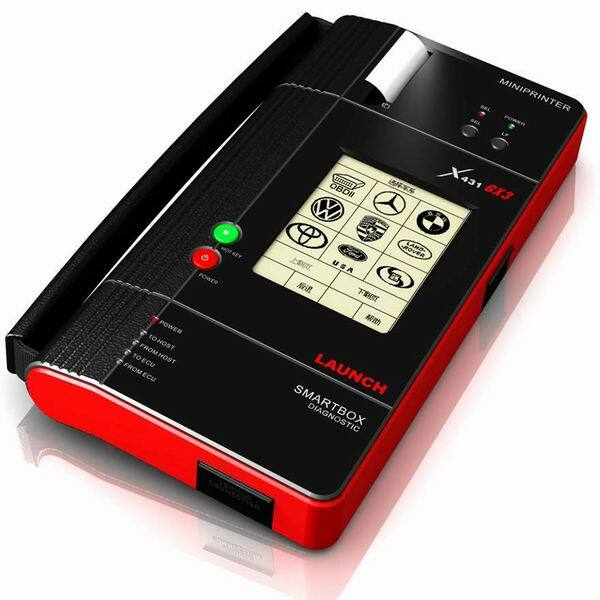 X431 GX3 is a new automotive diagnostic product and designed by LAUNCH with the technology of 'Open Control Platform for Vehicle' representing the highest level of automotive diagnostic technology in the world. It has the function of read DTCs, read datastream, actuation test, sensor waveform display and ECU coding. It's faster to communicate with cars than X-431 by integrated structure to save time in work. It can test most of cars by using the unique 16 PIN connector which integrates the function of all 16 PIN connectors of X-431. 24V operating voltage capability is added to work with different kinds of batteries. It is easier and more conveniet to operate than X-431 based on the smart design. Above is the car list for Europe, Africa and South Amercian version of X431 GX3, if you want to know the car list of other version, PLZ contact our sales in time!